There are certain fundamentals required of any entrepreneur or would-be entrepreneur, for these essentials form the building blocks, and success, of the venture of any enterprise building. We call these essentials the 4P’s of entrepreneurship. The PERSON, PRODUCT, PROCESS and PLANNING. The Person: the growth of a business is largely premised on the person who runs the business for a business’s foundation is built on the passion, knowledge, expertise, determination and tenacity of the owner(s). So, the successful growth of any business is on the decision of the business owner to be committed to growth, qualitative and quantitative growth. The owner’s growth directly becomes the growth of the business in question. At the start of any business, ever before it becomes a known brand, people buy the person running the business before they ever make a purchase of the product. 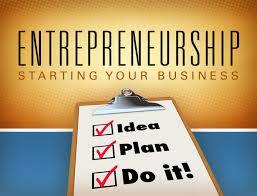 People buy, first, into the entrepreneur, the believe-ability, confidence and trust-worthiness of the entrepreneur. For these perceived attributes are linked to the viability of the product (or service) being marketed. So, business owners just starting out must know how to become the best version of themselves so that they can grow their business simultaneously. The Product: the concept of clarity is very essential to the introduction of an idea into the business market in form of a product or service. When the person (the entrepreneur) spots a need or gap in the business market and has an idea of a solution to that problem, the opportunity for the birth of a product is birthed. However, the product must meet the specification of the people who will need it (the target audience). Apart from meeting the needs, the product (or service) must be visible to the people who would demand and make purchase. The Process: every product (or service) must be designed to make the lives of those who need it easy and stress free. When the entrepreneur understands the needs of people and has a product to meet that need, the product must be designed in such a way that it gets to its target audience without any hassles. There must be methods and procedures by the entrepreneur to make sure that the product (or service) is delivered to the target audience and without it being retuned with complaints and inadequacies. The Planning: strategic plans must always be part of the process development of any business that wants to remain relevant in the business market. Planning aids the sustenance, development and continuity of any product (or service). Strategies must always be in place to make sure that business enterprise is built around product (or service) for continuation. Every product (or service) that must last in the business market must be those whose progenitors have committed the power of planning into. Moreover, because of the constant changes in the business market, businesses must always review their processes and procedures, periodically, to be sure that they are operating within industry’s best practices. When you think about being an entrepreneur, make sure that you put the above essentials into place and you will find yourself surmounting obstacles that must come in your journey towards climbing the rungs of the ladder of entrepreneurship.